Now this is I recently came across with. Do tell me what you think of this. 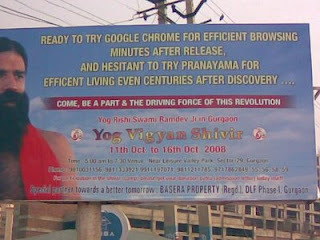 Comment are welcome on this innovative marketing style of the Yoga guru. haven't seen this before, but damn, it's a good one!